With the new heavy vehicle fatigue laws soon coming into effect, the Roads and Traffic Authority (RTA) has urged the trucking industry to be informed of impending changes. The national heavy vehicle driver fatigue reform and speed compliance legislation will become effective on September 29. “The annual cost of fatigue- and speed-related crashes is estimated at around $300 million nationally and estimates suggest up to 29 per cent of heavy vehicle crashes could be prevented by eliminating speeding,” said Paul Duignan, RTA’s general manager of Compliance and Freight Strategy. Mr Duignan said in a statement that the nearly one-decade-old current legislation has been regarded ineffective, as the focus was on regulating hours, not driving. “In addition, the current requirements only focus on the driver and their employer, and not on other parties who may contribute to and influence driver fatigue and speeding,” he said. Under the new laws, a heavy vehicle, or truck and trailer combination with a gross vehicle mass of more than 12 tonnes as well as a bus with more than 12 adult seats become subject to a new fatigue management scheme. 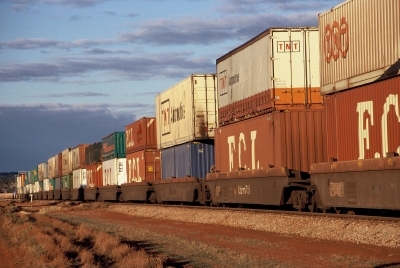 The scheme comprises three options, which are a standard hours option with maximum driving hours of 12 hours in any period of 24 hours, a basic fatigue management option with a combination of minimum rest and maximum work hours, and an advanced fatigue management option based on a risk management approach with operating and outer limits of 15 hours’ work in NSW. Mr Duignan said the legislation features chain of responsibility provisions that apply to all parties in the transport sector, including employers, contractors, operators, schedulers and loading managers. “All parties in the transport chain must take ‘reasonable steps’ to manage driver fatigue, consistent with existing NSW occupational health and safety laws,” he said. For further information, email fatigue_reform@rta.nsw.gov.au or visit the RTA website at www.rta.nsw.gov.au or the National Transport Commission’s website at www.ntc.gov.au.